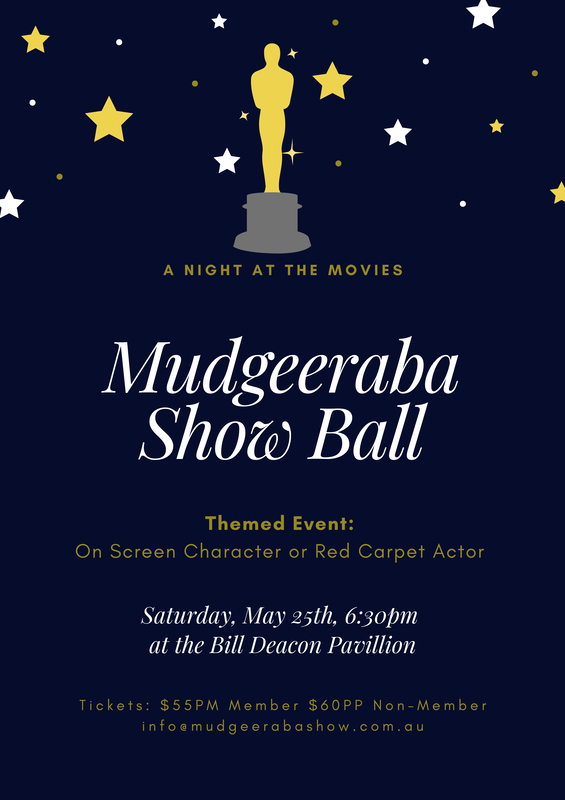 The Mudgeeraba Show Society would like to cordially invite you to the 91st Mudgeeraba Show Ball. This year's theme is a Night at the Movies, dress as your favourite On Screen Character or a Red Carpet Actor. Guests will enjoy the musical entertainment of Opus 9, a three-course meal and complimentary drink upon arrival.